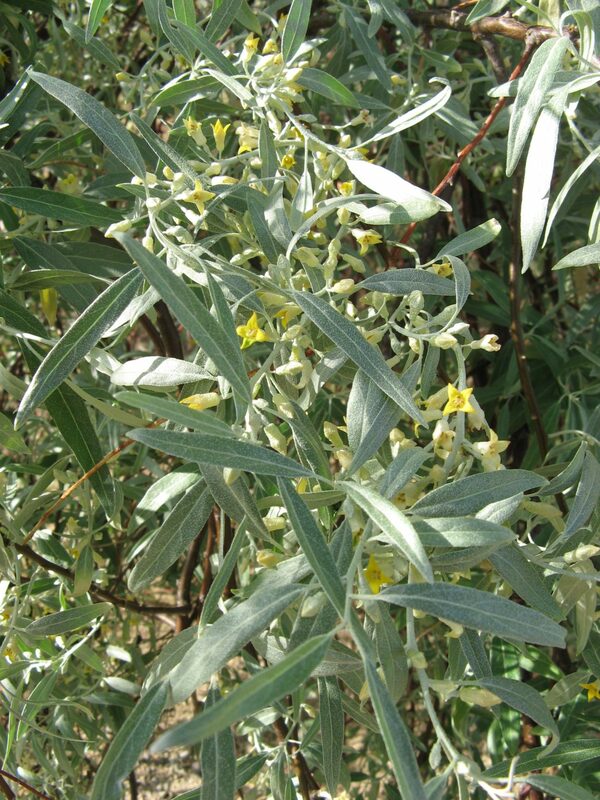 Russian olive is a deciduous tree with narrow silver leaves, clustered greenish-yellow fruits, and shaggy bark. 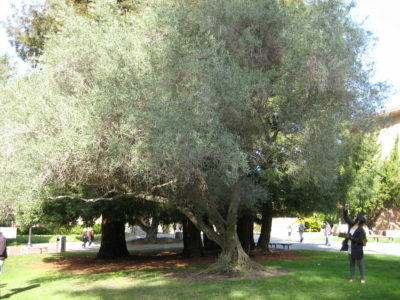 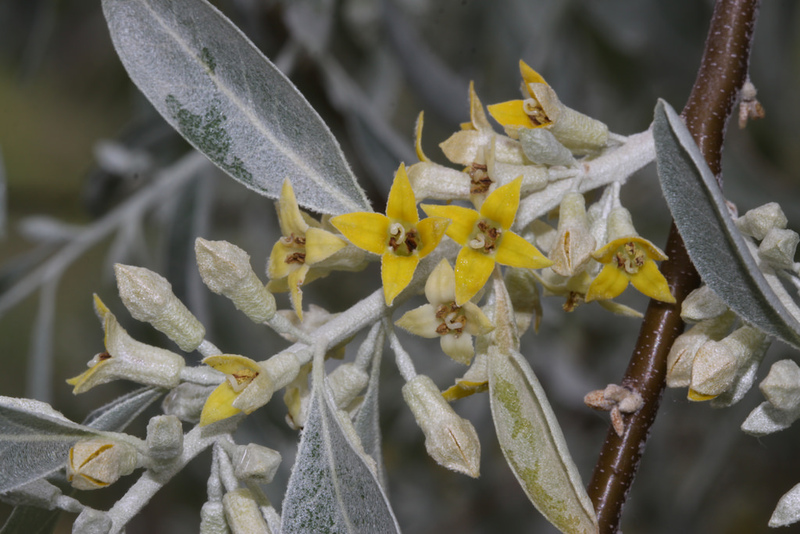 Russian olive was brought to the US from southern Europe and western Asia as an ornamental landscaping tree. 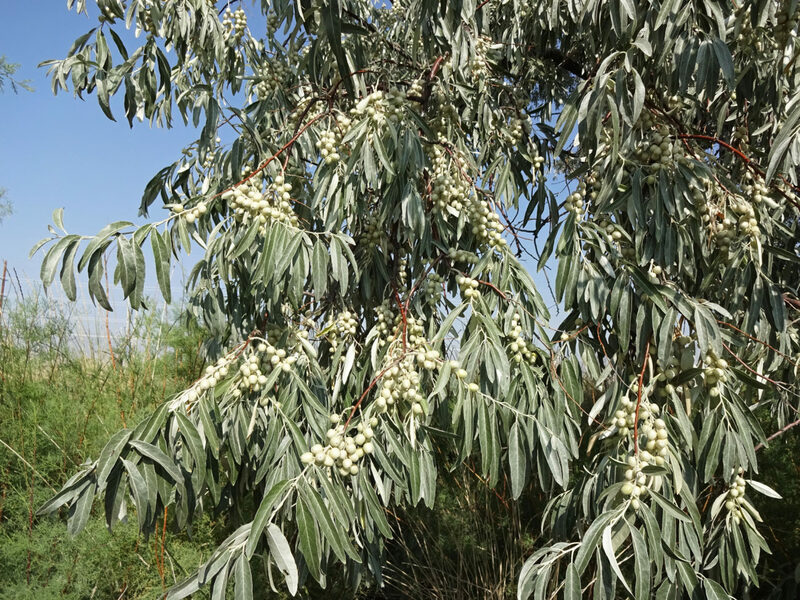 How does Russian olive spread? 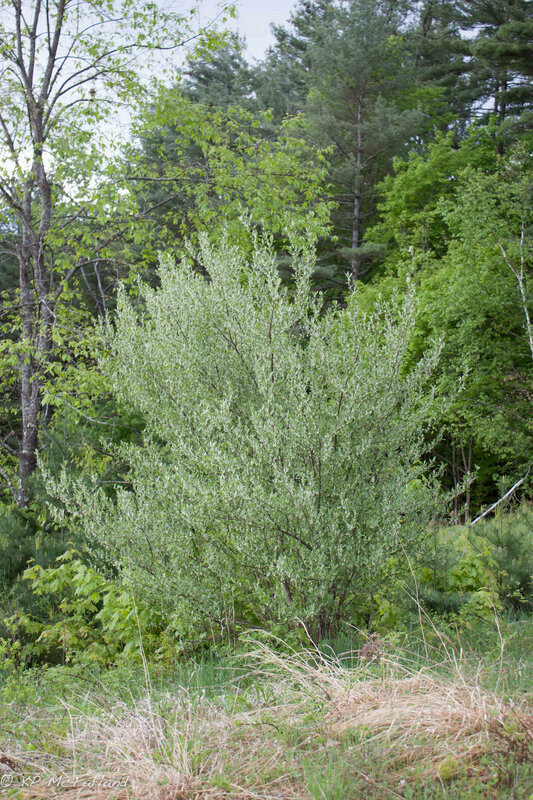 Russian olive spreads by seed. 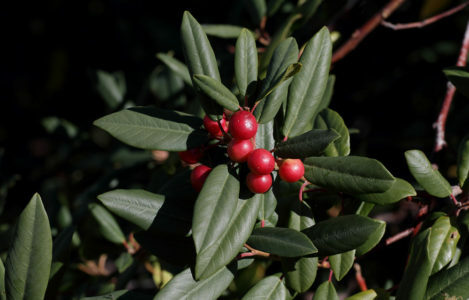 Birds and small mammals gather, stockpile and eat the mealy fruits of this tree, depositing seed far from original populations. 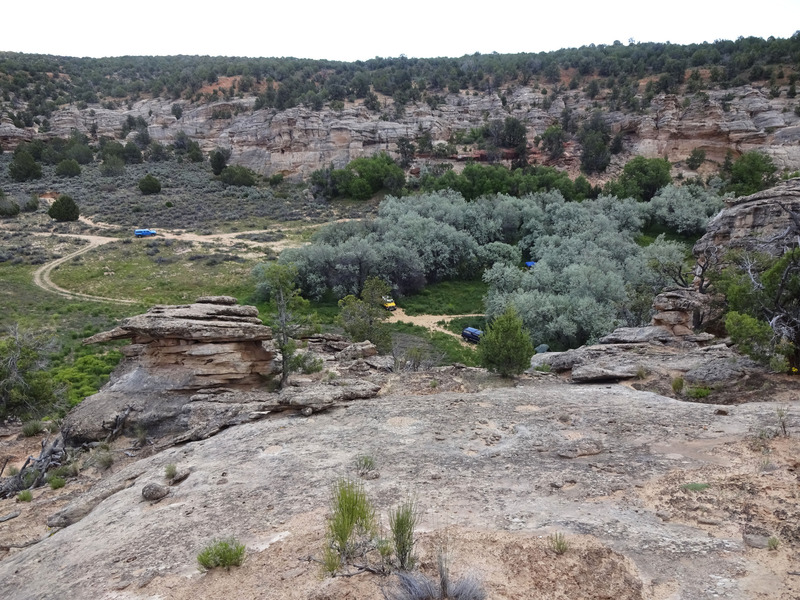 Where is Russian olive found? 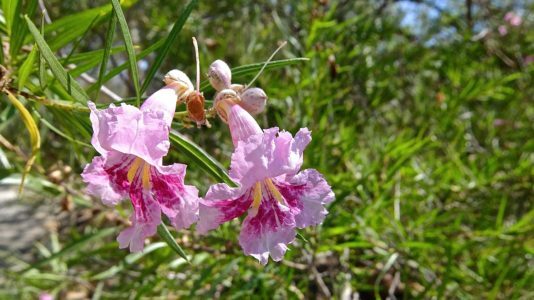 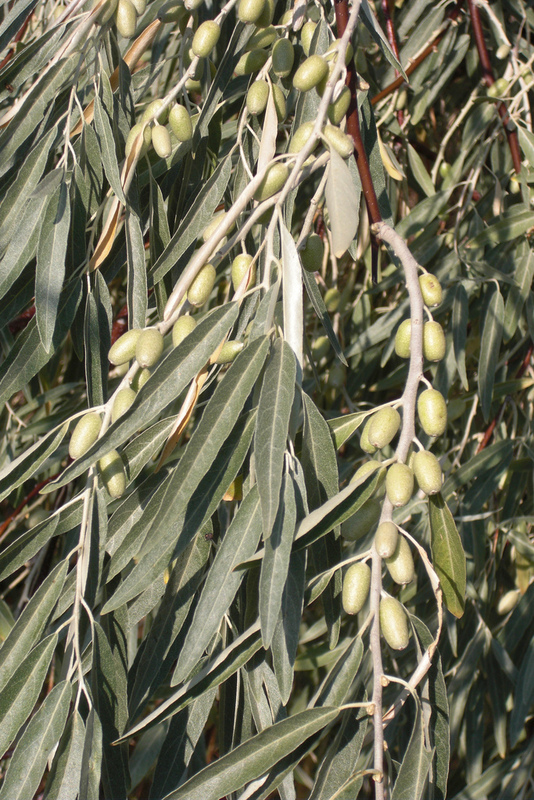 Russian olive is able to grow in under a variety of soil conditions, including considerable salinity and drought. 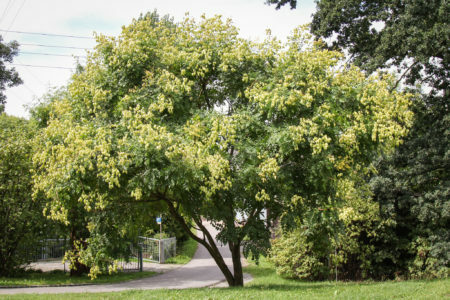 This tree can endure temperatures ranging from –50 to 115 degrees Fahrenheit. 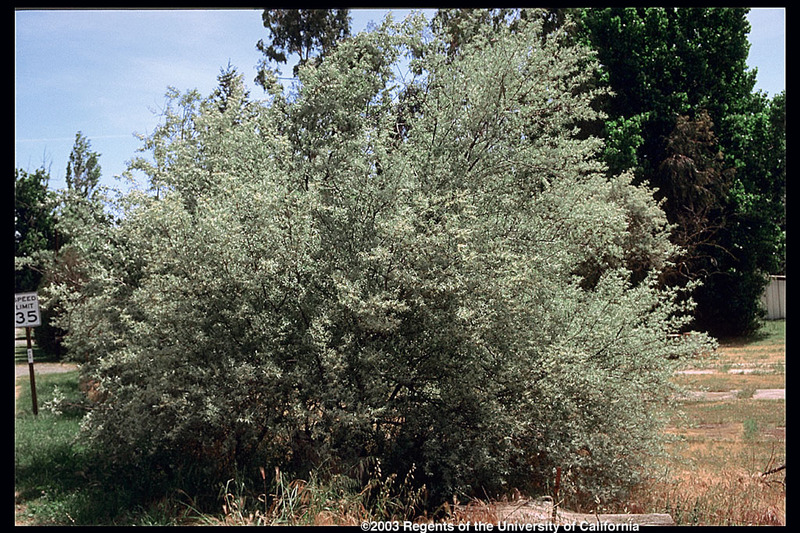 Russian olive withstands flooding and is found in streamside riparian areas throughout northern, southern, and central California. What problems does Russian olive cause? 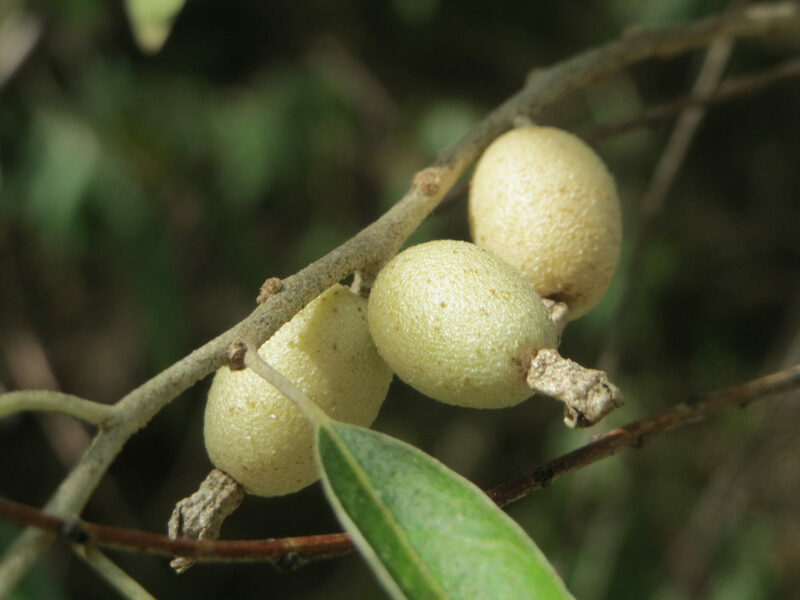 Along waterways in dry areas, the fast growth and low seedling mortality of the Russian olive provides tough competition for native willow and cottonwood species, which are intolerant of shade. 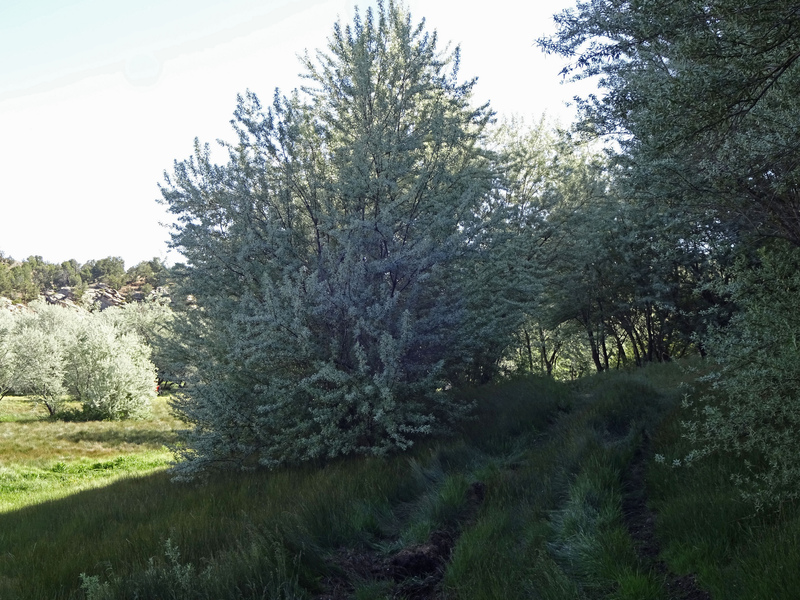 These stands of Russian olive provide lower habitat quality, and fewer species of birds are found in these trees than native riparian vegetation. 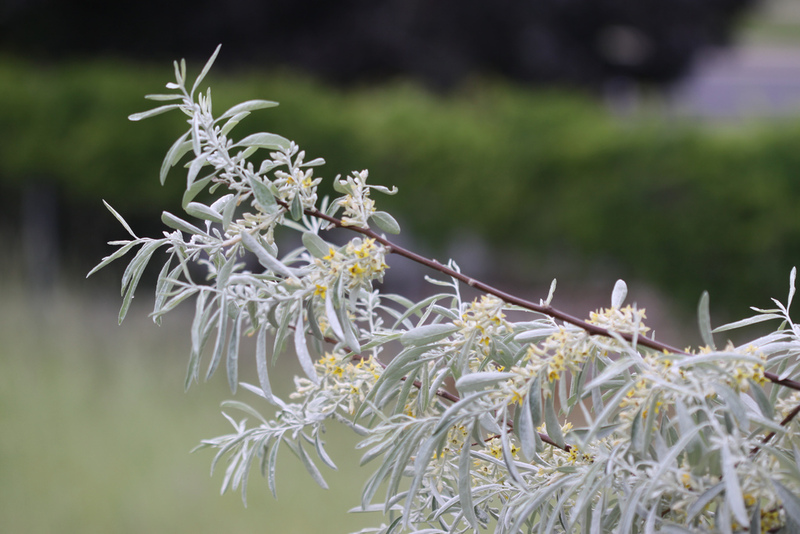 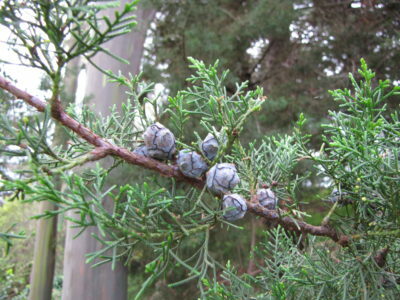 Russian olive has escaped cultivation and become a problem in seventeen western states.